The OMEGA Processing Game of the Week features the Cooper Jaguars (9-6) hosting the Holmes Bulldogs (13-3) live on NKYSports.com at 7:30 P.M. The Bulldogs, led by junior guard James Bolden, are on a three game winning streak heading into the game. Their last loss came against the undefeated Covington Catholic Colonels. They lost by ten at home. Bolden holds offers from Division I schools: Xavier, Butler, West Virginia, Purdue and Ohio to play basketball at the next level. The Jaguars, led by senior guard Zach McNeil, are on a two game winning streak. 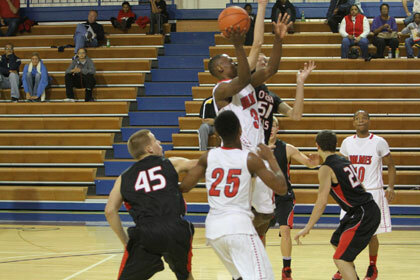 They last lost to Newport Central Catholic 58-37 on January 8. One of the team’s winning streams will come to a close on Friday night.